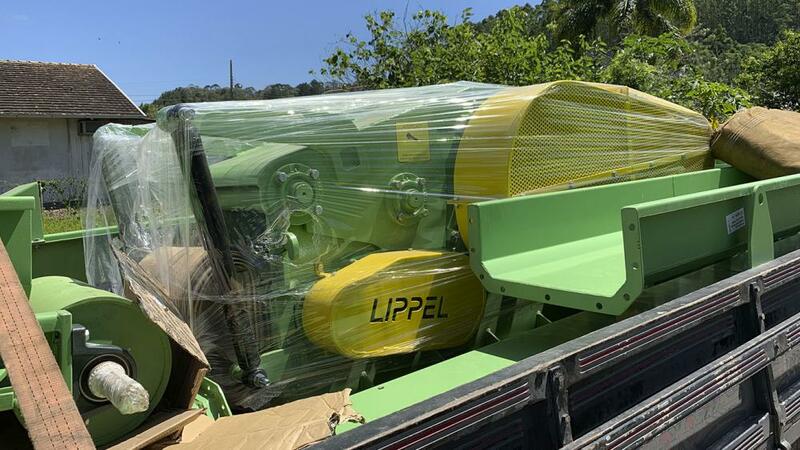 Last week, Lippel delivered a stationary wood chipper to a company that operates in the field of intelligent energy solutions in Santa Catarina - Brazil. The wood chipper delivered was a PTL 170x400, a high performance chipper in the processing of wood from the forest management or even the other sawmills and production lines, producing high quality chips for the energy burning in boilers or furnaces. This chipper will be used in the production of chips for the energetic burning in ceramics, making possible the savings by the own production of chips for burning.